Because of my long love affair with Hungary I chose to set the climax of my novel of romantic suspense, Romantic Road, there. Lacy Telchev, a young widow on a mission to fulfill her late husband’s last wish, finds herself relentlessly pursued across Europe, to end finally at the shores of Europe’s largest inland fresh water lake, Balaton. First I show her in the Budapest of today, a lively vibrant culture, seemingly affluent. But I wanted echoes of the past in my story, so I put words I once heard from an elderly peasant woman in the Matra Mountains, into the mouth of one of my central characters, a middle-aged doctor who remembers well the days under the Soviets and who comments pithily as to what she sees as the good and the bad of the two forms of government, Socialism and Democracy (Free-Market Economy). Hungarian friends tell me that on the heels of the free-market economy has come massive organized crime. Whatever problems the socialist state produced, crime was not one of them. 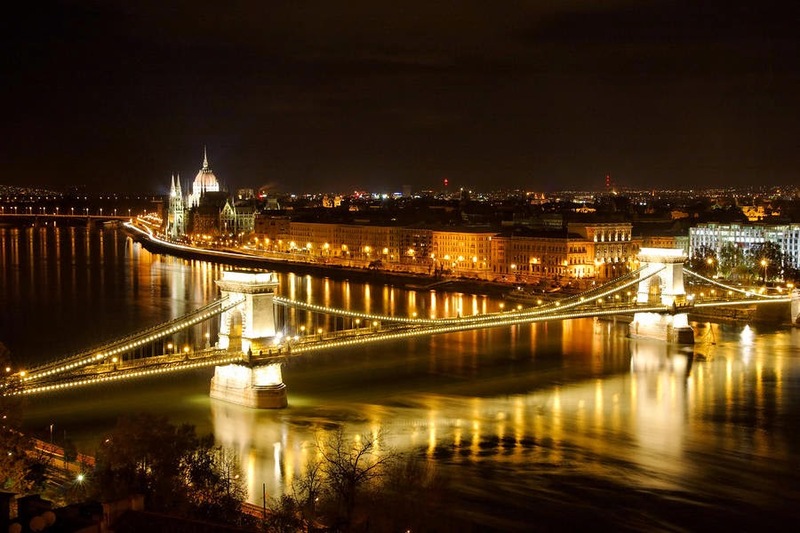 The Budapest of forty years ago was one of the safest and most crime-free cities in the world. Today, cars are stolen off the streets to be “ransomed” back to their owners. A quick way to turn a tidy profit without risk to the thieves. Free market indeed! Still, the cafes ring with the music of the gypsies as they have for the last hundred years or more, the shops offer every product the world can produce, and people seem to be willing and able to buy them. The streets are clogged with cars, the theaters and concert halls are filled to capacity every night. 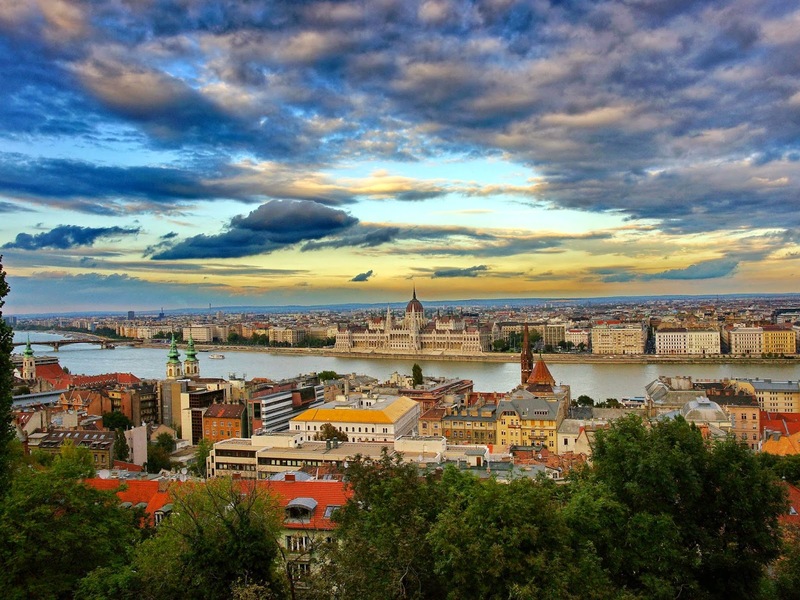 Budapest is once again a sought-after destination for travelers. A rich environment for those fortunate enough to call it home. Lake Balaton is only a short drive south of Budapest, but it is a drive into another world. 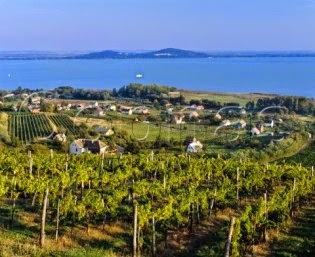 The largest freshwater lake in Europe, it is good for swimming and water sports from May through September, and it lies picturesquely amid high hills covered with vines that produce some of the best wines in Europe. Many vineyards are owned by private families, who raise just enough grapes to provide wine for family and friends and perhaps to sell to local restaurants. It is with such a vintner and in such a vineyard that I set the explosive climax of Romantic Road. I was a student in Hungary some forty years ago. I see it both as it was and as it is now. A vibrant people who are survivors. They survived the Turks, they survived the Austro-Hungarian Empire, they survived the Nazis, they survived the Soviet occupation, and I have no doubt they will survive democracy. When Lacy Telchev buries her husband she finds herself in treacherous waters. Igor, much older than Lacy, had secrets. Suddenly Lacy is being chased across Europe by men who believe she can lead them to those secrets. Evading her pursuers with the aid of a chance acquaintance, the handsome and mysterious Max Petersen, Lacy travels across Germany, Austria and Hungary, to a shattering discovery in Budapest. Along the way, she meets three women from Igor’s past. As Igor’s story unfolds through them, Lacy is less and less certain who her husband really was. Who can Lacy trust? Will she survive to find out? Labels: Austro-Hungarian Empire, Budapest, Nazi's. communism. 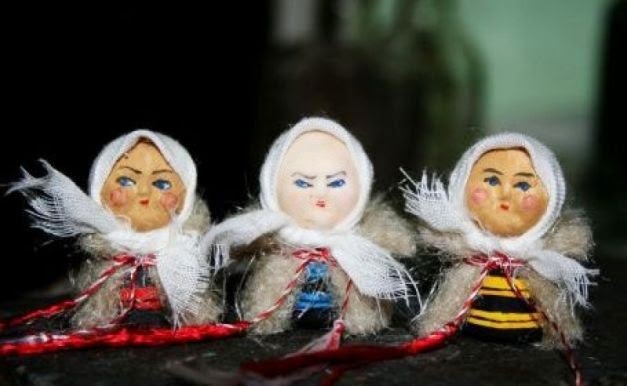 Romanians have a lot of customs and traditions linked to spring, especially to the month of March. Beside the lovely Martisor tradition, on 1st March, there’s also an interesting one linked to the first nine days of this month. It dates back to ancient times and I think it’s unique. Our ancestors were aware that the first days of March are too cold, or too warm. Typical spring weather. 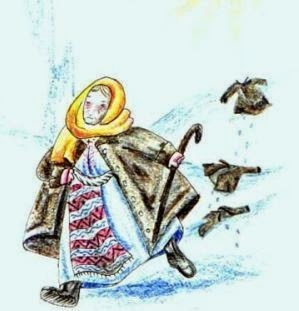 They called these first nine days of changing weather - Old Women’s Days. From 1st to 9th March people have to choose one day, or better said an old woman, which will reveal their true nature. If the weather is nice on that day, the person is a kind-hearted one. If the weather is rainy, cold it means the person is unkind and peevish. Old Women’s Days finish on 9th March when the weather already gets milder and sunnier. Where does this belief come from? The ethnographers say that the myth is one of the most important myths in Romania, that of Dochia. If we take into consideration that the old Roman calendar started on 1st March, then old lady Dochia is the embodiment of the old year that is ending and must die at the beginning of March. Dochia’s death on 9th March is considered a border between the cold and the warm season. There are numerous legends regarding old lady Dochia. One of them claims Dochia is an old woman who daily scourges her young daughter-in-law. Once, on 1st March, Dochia sends her to wash black wool until it gets white. The daughter-in-law goes to the river and washes the wool until her fingers start bleeding but the wool stays black. An angel takes pity on the poor young woman. The angel gives her a white flower and tells her to touch the black wool with it and the wool will turn white. Seeing her daughter-in-law with the flower in her hand, Dochia thinks spring has come and goes up the mountain with the sheep. She puts on nine thick sheepskins to keep her warm. But while climbing the mountain the weather gets either too warm, or too cold, it rains and her sheepskins turn wet and heavy. Dochia takes them off, one by one, until she is dressed only with her shirt. Frost comes and Dochia freezes, being turned into stone, together with her sheep, as remembrance for what happens to mean people. So, the days between 1st and 9th March represent the time when Dochia fulfills her destiny, climbing the mountain, together with her sheep, to die for rebirth. The instability of weather during this time is due to her freakish character. We still keep the tradition in my family. Sometimes it’s funny how my husband tries to check the weather forecast ahead to be able to pick a sunnier day. Sometimes it fits, other times it doesn’t. We have a lot of fun on this topic. Another thing I should mention in connection with the day of 9th March, when Dochia dies. On this day women bake a sort of small cakes having the shape of number 8. They are called mucenici/martyrs. It’s dough and sprinkled with grind nuts and honey on top. They represent the spirit of wheat brought as sacrifice to a solar deity. I think this meaning was lost along the time and is considered more as a remembrance of the dead people in one’s family. Another more exotic custom on 9th March, especially in the countryside, says that men should drink 40 or 44 glasses of wine. This is a reminiscent of the ancient Bacchic celebrations. This too, has lost the ancient meaning. I wonder if men have any idea where the custom originated. One thing is clear - they have an excuse to drink. 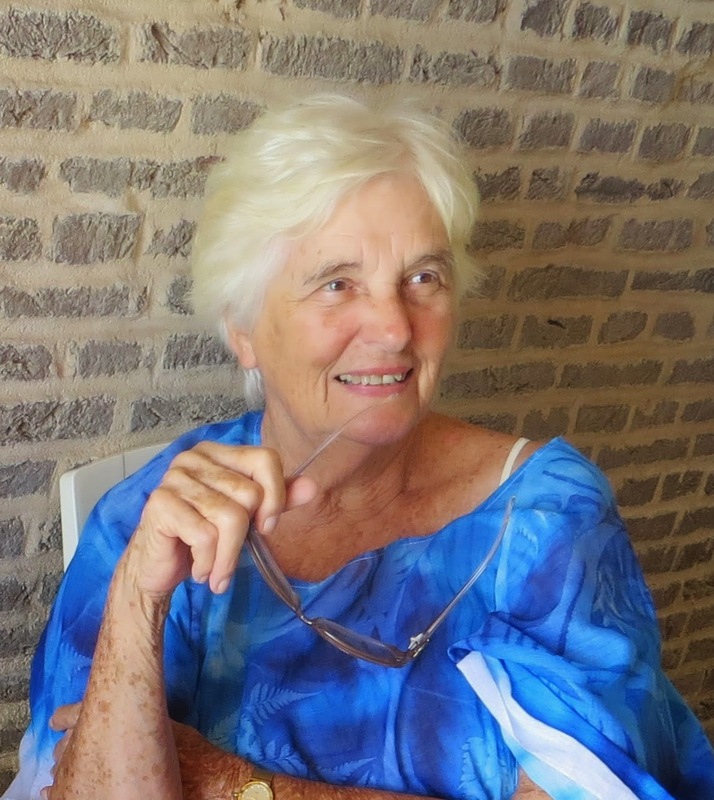 English teacher in her native country and mother of two daughters, Carmen Stefanescu survived the grim years of oppression, by escaping in a parallel world that of the books. She has dreamt all her life to become a writer, but many of the things she wrote during those years remained just drawer projects. The fall of the Ceausescu’s regime in 1989 and the opening of the country to the world meant a new beginning for her. She started publishing. New York City was still suffering from an economic crisis in 1984, which is the time period that Broken Window takes place. It was not the city we enjoy today. The title, Broken Window, is itself historical; it reflects a type of crime that is nonviolent but a result of the lowering of police presence of the times. People were arrested, for example, smoking pot on the street, speaking too loudly, selling items without a license. It was said that such crimes were like a broken window that allowed vermin into an otherwise sound house. Some argued, at the time, however, the police should focus on real crime; the muggings, killings and kidnapping that were taking place in the city. That arresting people for “broken window” crimes was abusive. That argument still stands today. The neglected, failing subway trains, of the times, were relics of themselves, unreliable often leaving passengers waiting at subway stops for forty minutes or more. Ten thousand police officers were taken off the street and there were not enough officers riding the trains to protect passengers from gangs that openly roamed and threatened passengers for pocket money with weapons like screwdrivers and knives. It was the year that Bernie Goetz shot four black youths who had threatened to mug him. Talk show hosts joked about people getting mugged. “When was the last time you were mugged?” was a typical one-liner. The Crips a street gang, which is the prominent gang in Broken Window, began to sell drugs in NYC, and Queens. The Crips, basically a Los Angeles gang, were known to abduct beautiful girls, which acted for an aspiring member as initiation. The gangs then passed her around or sold her. Such criminal events still happen to day and were an inspiration for me to write Broken Window. Also inspiring me were the three courageous girls in Cleveland held captive for ten years, and the revelations of human trafficking in this country of our young, mentioned by Attorney General Eric Holder. He pointed to the tens of thousands of young who have run away from home and are left defenseless on the streets, and are exploited. That was also the case in 1984. The graffiti marred subway station and trains became a symbol of New York City’s decline. They were unrecognizable and more like crime scenes. So when my character, Kelly Singleton, a young beautiful girl about to become a freshman at NYU disappears on the Number Six Train, in August 1984, it is totally believable. The New York City subway was dangerous, the parents told the three Wilton High School graduates, but the girls weren’t taking no for an answer. Kelly Singleton, soon to be an NYU freshman, and her two friends board the hazardous subway train. Several stops later, her two friends get off, but Kelly is nowhere to be found. It is the torrid August of 1984, and crime is at an all-time high. Kelly’s desperate parents turn to reporter Carol Rossi and police detective Jerry Stevenson to find their missing daughter. Scratch the surface of a small town planning and zoning department, and you’ll uncover a story. That’s what Carol Rossi counts on in the winter of 1983, and she’s right. 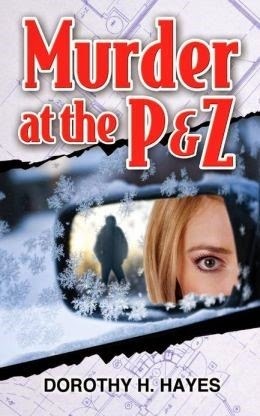 A former teacher, age 47 and romantically involved with a much younger police officer, she needs a big story to make a success of her new career as a reporter for a Wilton, Connecticut, weekly newspaper, but murder isn’t what she had in mind. When the victim turns out to be a woman on Rossi’s beat, writing a story no longer seems enough, and she vows to find the killer. Stalked and terrorized, Rossi soon finds herself in over her head, professionally and romantically. 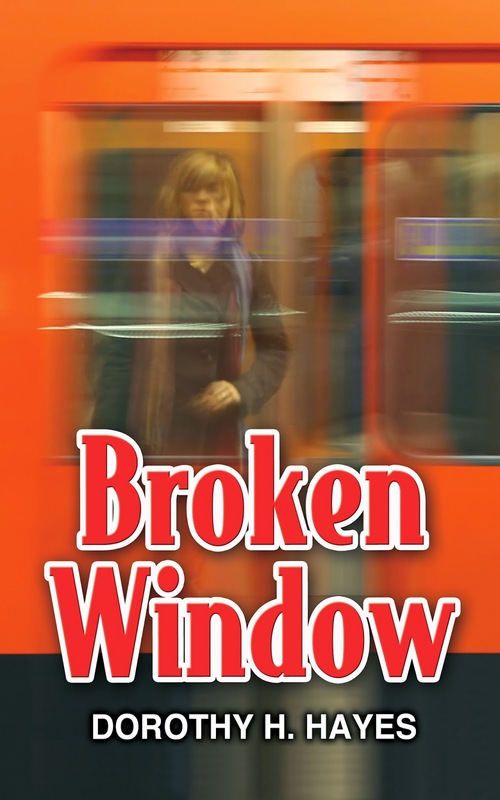 Broken Window, another Carol Rossi mystery, will be published in the spring. Dorothy Hayes, a staff writer for local Connecticut newspapers for five years, received and honorary award for her in-depth series on Vietnam Veterans from the Society of Professional Journalists. Prior to that she was a Language Arts teacher. A staff writer for a national animal protection organization, for six years, she wrote Animal Instinct, 2006. Dorothy lives in Stamford, CT with her husband, Arthur. 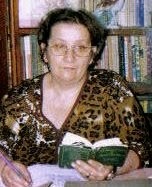 She also raised four children, and is the mother-in-law to three, grandmother to fourteen, and is GN to Bella. She writes for WomenofMystery.Net, CriminalElement.Com, and is a member of Sisters-in-Crime-Tri-State Chapter, and Mystery Writers of American. Visit her at DorothyHayes.com for more information. Dorothy began her writing experience as a staff writer for the Connecticut newspaper, The Wilton Bulletin. After three years she moved on to the larger regional daily newspaper, The Hour in Norwalk. During her tenure at this paper, she received an honorary award for her in-depth series on Vietnam Veterans from the Connecticut chapter of the Society of Professional Journalists. Following her time at The Hour, she held the position of staff writer for a national animal protection organization for six years. In this role she was engaged in lobbying efforts at the state capital on behalf of animal protection and local and national campaigns for the advancement of animal rights.